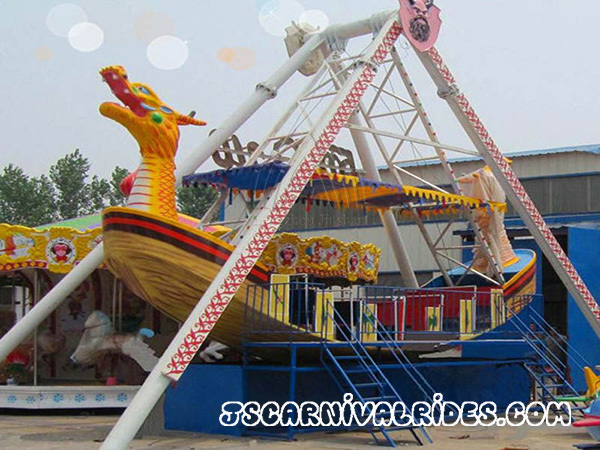 Pirate ship, also called viking ride, is a reciprocating swing amusement equipment that swings back and forth around a horizontal axis. The pirate ship is designed by imitating the ancient real pirate ship. 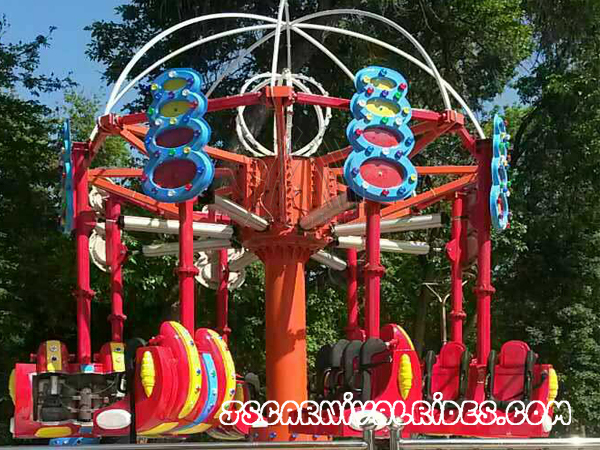 It will subject the riders to various angles of rotation. Passengers swinging along with the pirate ship ride just feel like taking a ship on a rough sea, which is exciting, thrilling and entertaining. 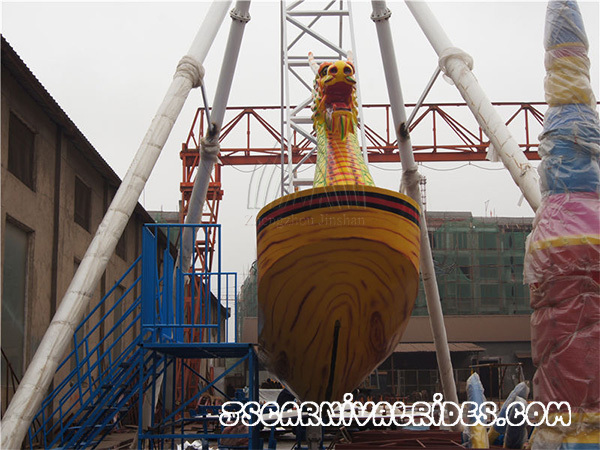 Jinshan brand pirate ship is made of glass fiber reinforced plastic material, manufacturing process fine. 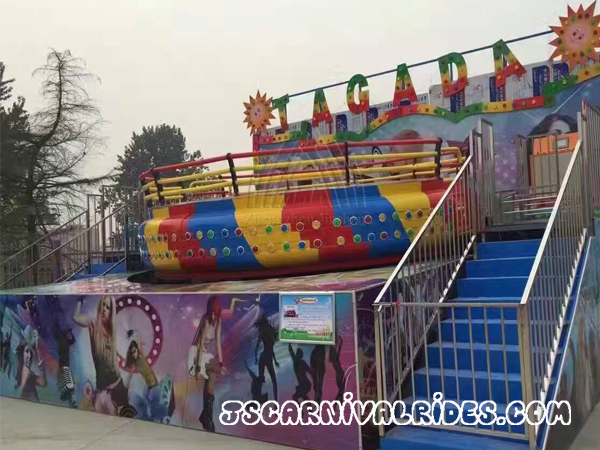 It has become a beautiful landscape in the amusement park, playground and commercial pedestrian street, and it always attract many tourists. When the pirate ship been started, it begin to swing slowly at first and then accelerate. 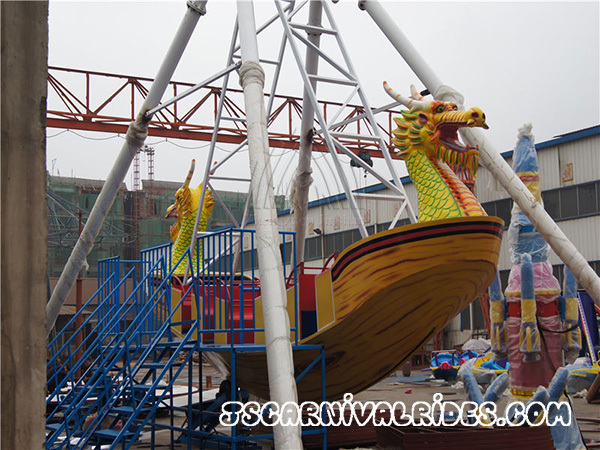 Passengers sit on the cabins and swing along with the pirate ship ride. With the slowly to rapid swing speed, passenger will feel like surfing on a rough sea with big waves. Some times rushed to the peak, and sometimes fell into the bottom, which is very thrilling and challenge the limits of the psychological capacity of passengers. 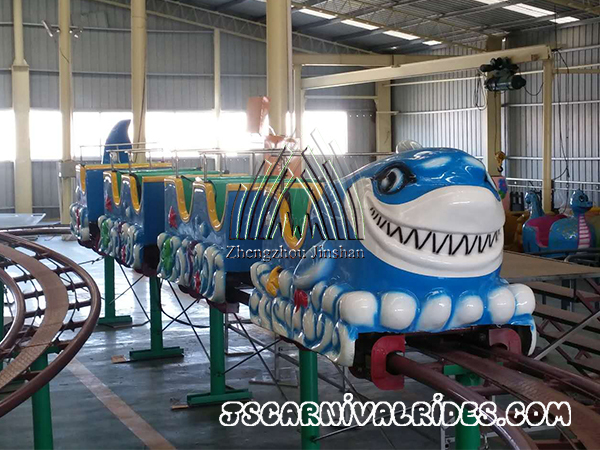 Jinshan brand pirate ship can be equipped with four-channel car audio system, which will give tourists a refreshing feeling. 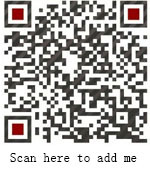 Welcome to inquiry us and get a free quote.